Our Third Lake Apoyo Underwater Cleanup was a success! We have conducted this activity three years consecutively, and with each activity, there are new people participating. Estacion Biologica, the Ministry of Natural Resources and the Environment, Office of the Mayor of Catarina, and Apoyo Dive Center worked together to bring twenty divers with support crew above-water to take the trash out of the lake. The SCUBA divers volunteered their time and energy to remove lots of trash from Laguna de Apoyo. Here are some photos of the activity. Local community members gather during the morning of October 15, with rangers, to help clean the lake. Tim Roberts from Apoyo Dive Center poses with the SCUBA diving crew from Planta Margarita in Corinto, who offered their free weekend to help clean Lake Apoyo. Not only SCUBA divers participated: Community children who live in Laguna de Apoyo Nature Reserve helped clean up trash along the areas near the shore. Members of Special Forces of the Nicaraguan Navy prepare to begin their dive for the Lake Apoyo Underwater Cleanup. Photo by Jeffrey McCrary. Several local community members in Laguna de Apoyo have mastered the art of snorkeling, and they helped collect trash in the water, as well! Beatriz Valverde from MARENA looks on as local children volunteer to keep Laguna de Apoyo free of trash. We were all happy with our efforts, and 62 large sacks of trash were removed by our dive crew. Almost all our effort was placed on the areas directly in front the bars at Los Ranchos, where the clients and proprietors allow lots of garbage to enter the lake. We removed many large plastic soft drink bottles and rum bottles, and we left more behind in the lake than what we removed. But most important was the solidarity we noted. People of all kinds participated, some SCUBA diving, others snorkeling, many more picking up trash along the shore. We thank them all! Music and stories make the best vehicles for learning. Mario Montenegro sings children-style Nicaraguan music and tells stories to the children at Escuela Luis Alfonso Velasquez in Laguna de Apoyo Nature Reserve. He knows how to make children happy through music and story, and he gets them to participate in it all with him. Estacion Biologica FUNDECI/GAIA works with our local school on projects of various kinds, including volunteer instructional assistance to the children, educational materials donations, and infrastructure improvement to the school facility. If you would like to participate with us in improving the education of the children of Laguna de Apoyo Nature Reserve, you can help with a donation or an internship. We are looking for volunteers to work with the school with at least a six month commitment. This could be your best way to learn and contribute to the people of Nicaragua. Please contact us for more information. We agree with Mario: all children deserve a happy and loving childhood, full of songs and stories, fantasies and play. Each year we raise funds to improve the school infrastructure and books, and give special courses and events to the children who attend the school. If you would like to help to improve the education of the children of Laguna de Apoyo Nature Reserve, we would like to work with you. Mario Montenegro is a local Nicaraguan artist, singer, songwriter, children's story writer, and painter. He was born poor and humble, and he has dedicated his art to themes of the children. As can be seen in the videos here, he has a special communication with children. Estacion Biologica arranged an activity with our local school, Escuela Luis Alfonso Velasquez, where he sang and told stories for the children, with themes that relate to the kids. His music has themes especially for children. Here are a few of the videos we took from the event, more will be loaded soon. We hope you enjoy them. The students of Escuela Luis Alfonso Velasquez are poor, rural children, whose parents are caretakers for properties of wealthy people in Laguna de Apoyo. These children don't go to the movies or the mall. Their parents don't take them rollerskating or to play organized sports. Mario Montenegro knows how to make the children smile and even to get them jumping. We are appreciative of his attention and care for the poor children of our local school. He was accompanied in his visit by students of the Laguna de Apoyo Spanish Language School and volunteers from Estacion Biologica, who also enjoying his music and stories and the opportunity to share with the children of our area. Supporting the education of poor, rural Nicaraguans is part of our mandate at Gaia, and through our offices at Estacion Biologica, we have participated in several activities to widen and deepen the experience of our young student neighbors. When you visit Nicaragua, please remember that many children do not have sufficient resources for a good education. We, like many organizations, channel donations to our local school. We recommend that you bring with you pencils and other school supplies, books in Spanish, and backpacks to donate. We also are seeking a long-term intern to work with the local students in environmental education activities. If you are interested, please contact us. Laguna de Apoyo is among the most beautiful places I have ever visited. Although most of us respect and care for this magical lake and the land around it as a reflection of our concern and care, some people do not. Trash is an unavoidable part of the underwater scenery, which is the habitat for the lake's very special animals. We will be conducting a lake cleanup activity with volunteer divers 15 and 16 October, 2011. Certified divers are welcome to join us for either or both days. You will need to bring your own gear and your proof of SCUBA diving certification, and we will have compressors handy for tank refills. Non-divers can help with lots of above-water logistics and management of the waste that will be retrieved, and photodocumentation. This is a great opportunity to provide a small volunteer contribution to give back to the lake which we all love most. Please join us-write for reservations for participation and for rooms if you wish to stay overnight. Our "core group" of active military force divers has already signed on. For those who can not participate in person, please consider making a donation to offset the costs of this activity. We will be spending hundreds of dollars in fuel consumption, logistics and planning. Your help in any way is greatly appreciated. Watch Channel 13 VIVA LA VIDA Wednesday, October 5, at 8:30 am when we will be discussing the event. We are actively engaged in learning about, teaching about, and protecting wild nature in Nicaragua. 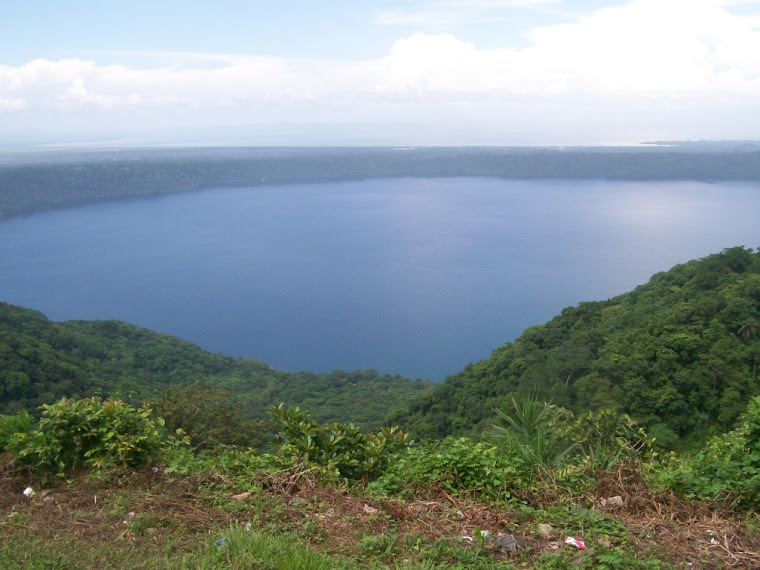 Our princpal focus is Laguna de Apoyo Nature Reserve, where we have executed years of careful study of the birds, fish, and more recently, other creatures of the forests, lake and streams. Although this place is close-too close-to Granada and Masaya, which facilitates inappropriate and excessive human activity, there is still an abundance of nature here. Here we will show you some aspects of the wildlife of this area which you might not have contemplated before. The first animal we share with you here is the White-necked Puffbird (Notharchus hyperrhynchus). It was previously considered to range from Mexico into the Amazon, but the South American birds have a smaller bill, and recently, "our" birds have been reclassified into another species, leaving the older names for the southern forms (Pied Puffbird, Notharchus tectus). It's a crazy looking bird! And a real prize for a birdwatching experience. This individual was caught by our field study group by mist nets. This species is much more common in the south-western part of the reserve, than in the northern part, reflecting that it prefers somewhat better forest quality, as the northern part is more heavily degraded. There is a little-known crab common to Lake Apoyo, known locally as jaiba, but without an English common name: Potamocarcinus nicaraguensis. We don't know much about it, except that it tastes good! We have begun to keep counts of crabs in our transects in the long-term flora and fauna monitoring project we conduct in Laguna de Apoyo Nature Reserve. We see one or two crabs on most of our SCUBA dives in the lake. Locals eat it and it appears to survive the low levels of harvesting pressure well enough. We have recently found it in one of the small streams that flows year round into Lake Apoyo. These crabs are important to consider in aquatic conservation in Laguna de Apoyo and its tributary streams. A lacustrine crab, Potamocarcinus nicaraguensis. Photo by Balasz Lerner. Butterflies abound here. We have been observing the butterflies a few years, and already have one scientific publication in which a few dozen new species for Nicaragua were documented. Today, we are focussing on the butterflies that feed on fruits, in a quantitative study of the effects of land use by man on the butterfly communities. Most of the butterflies we observe in this study are from a single family, Nymphalidae. However, we continue to watch and admire all the other ones. The next two pictures were taken of a freshly emerged individual from its coccoon. The wings were beautiful but had not yet taken flight. As a generality which holds quite well taxonomically in this region, we call those of the order (Lepidoptera) which fly in the daytime, butterflies, and those which fly at night, moths. Among the several distinctive features of moths is the antenna which are not clubbed, as in the butterflies, but a variety of other structures such as feathered or segmented. Moths are usually less distinctly colored and patterned than the diurnal butterflies, but there are some beautiful features to them, and in some cases, they can be surprisingly beautiful. White-faced capuchins (Cebus capucinus) occupy only a few sites in the reserve. There are few, because of poaching for the pet trade, and those still here are wary. Monkeys are not pets! Please do not support the trafficking of wild animals. We have recently noticed the capuchins in new places in Laguna de Apoyo Nature Reserve. The populations here, like in other parts of Nicaragua, have been decimated by the pet trade. But, it appears that our monkeys in Apoyo are making a small comeback. Here, one looks down on us as we are catching birds by mist netting. The Mantled Howler Monkey (Alouatta palliata) is more abundant than in past years in Laguna de Apoyo Nature Reserve, thanks to the increased vigilance of park guards against tree cutting, forest fires, and hunting. We are monitoring monkey populations in the reserve, and we need volunteers and interns to help us. Please contact us if you would like to do some monkey-watching. Photo by Mark de Graaf. These photos were all taken in the Laguna de Apoyo Nature Reserve, by amateur photographers. They demonstrate how beatiful the area is, why we think is one of the leading sites for wildlife photography and nature tourism in Nicaragua, and hopefully, contribute to convincing the leaders here to protect it. We need your help. 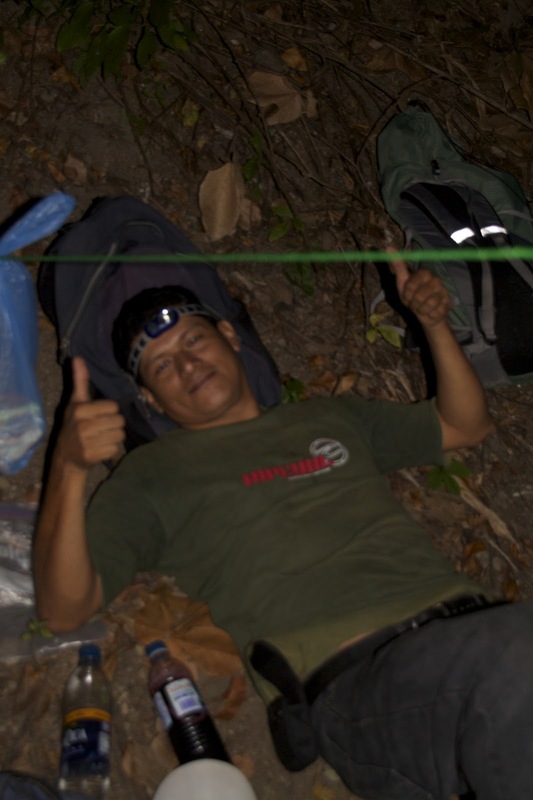 Our studies of the wildlife and projects in repairing the broken forest require money and volunteers. 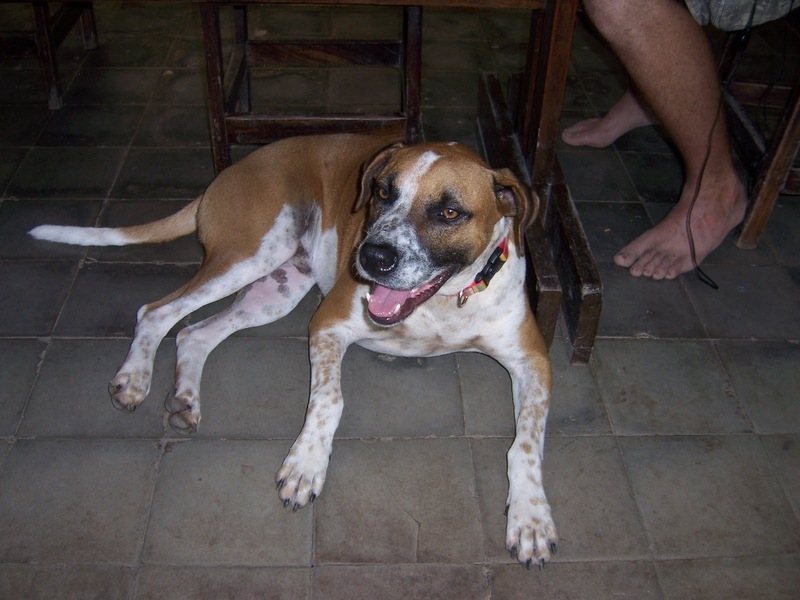 Can you help us at Estacion Biologica? Please write us. Nicaragua's rich socio-political history is the stuff of movies, and some good ones have come from it. Here we present our list, movies that lovers of Nicaragua should see. Let´s go to the movies! A Nicaraguan woman carries the scars of war with her to Glasgow, where she meets a man who helps her face her past and return to her country and love. Set during the contra war in revolutionary Nicaragua. Directed by Ken Loach. Alsino dreams of flying. and his village is visited by aircraft raining destruction. An analogy for the apologists of fascism in its many rebirths throughout Latin America. Directed by Miguel Littin. William Walker was a good man gone bad. As he sank morally, he dragged a nation downward with him. Ed Harris plays the lead role brilliantly, in a cleverly constructed retelling of the first US citizen president of Nicaragua. This movie portrays the Walker experience with broad artistic license. Music by Joe Strummer from The Clash. Nick Nolte and Gene Hackman are seasoned war reporters, documenting the insurrection against the Somoza dictatorship in Nicaragua. Based loosely on the assassination of ABC reporter Bill Stewart in 1979. Soundtrack by Jerry Goldsmith. Two sports shine in Nicaragua: Baseball, and boxing. A most unlikely boxing film - about a woman boxer. Directed by Florence Jaguey. What is your favorite film about Nicaragua? Please let us know. If we have not included it here, we would like to see it and share your interest with others, too. Estacion Biologica FUNDECI/GAIA sponsors and operates the Laguna de Apoyo Spanish Language School. We have the oldest "study Spanish abroad" program in Nicaragua. Please visit us when you are in Laguna de Apoyo.